The International Youth Day is celebrated every 12 August as declared by the United Nations General Assembly. The theme chosen for this year is “Safe Spaces for Youth”. 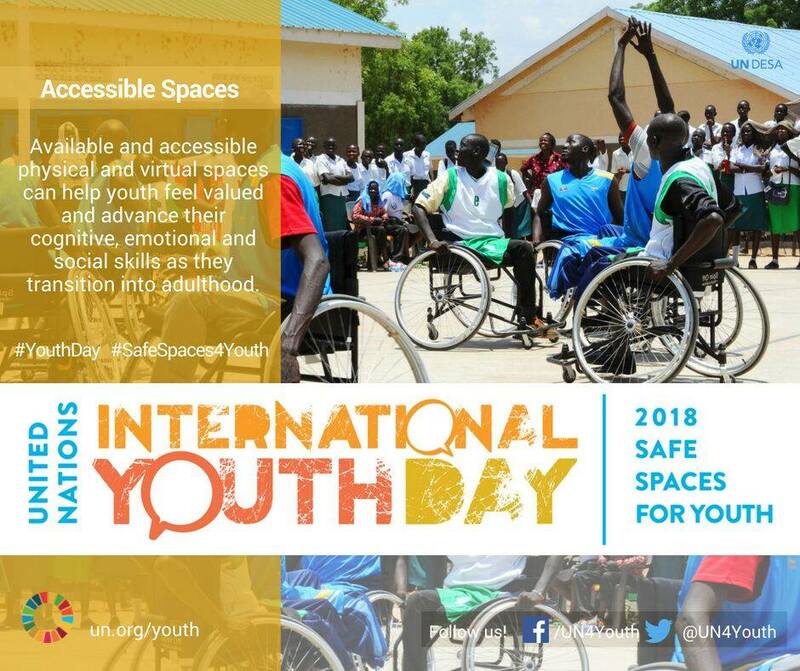 Youth need safe spaces where they can meet, engage in activities related to their diverse needs and interests, participate in decision making processes and freely express themselves. Safe spaces are crucial because they ensure the dignity and safety of youth. Are there accessible safe spaces in your community? Use #SafeSpaced4Youth #YouthDay and say it!